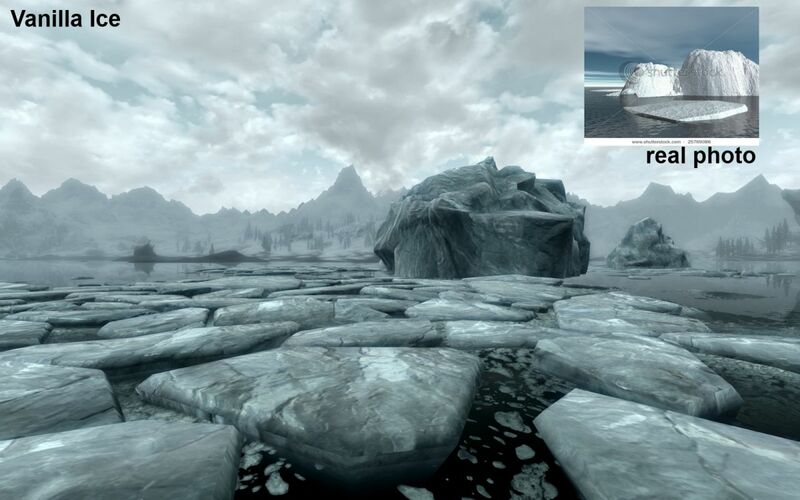 Skyrim Nexus, Skysan4298. 26 Sep 2016. 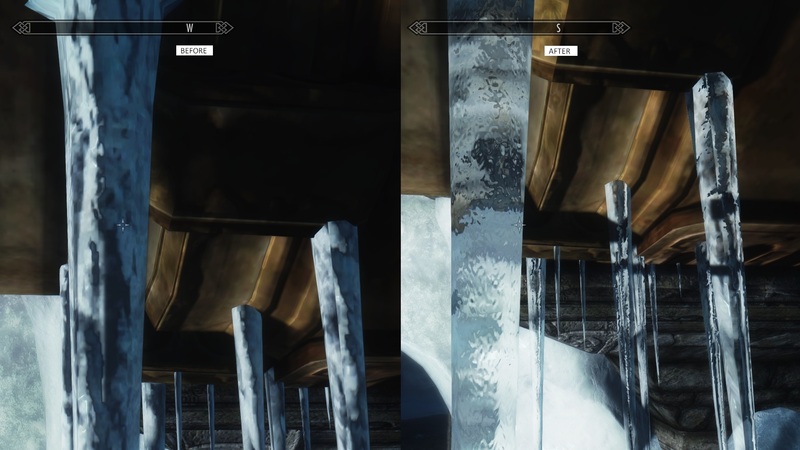 Transparent and Refracting Icicle and Frost Atronach. 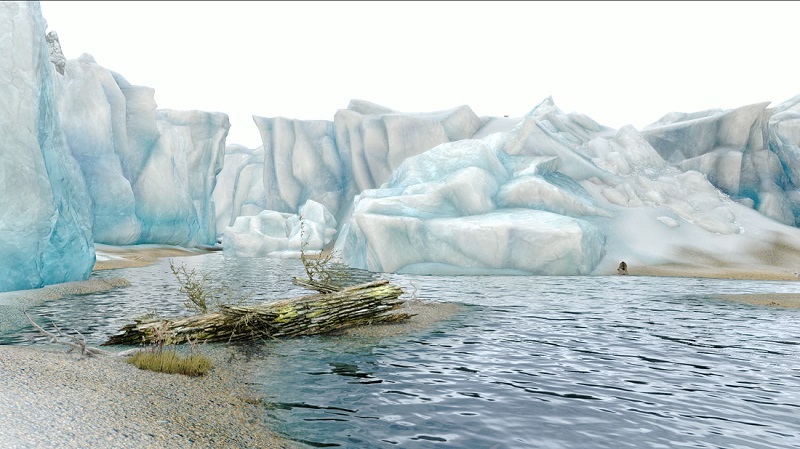 25 Jan 2014 <https://www.nexusmods.com/skyrim/mods/50316>. 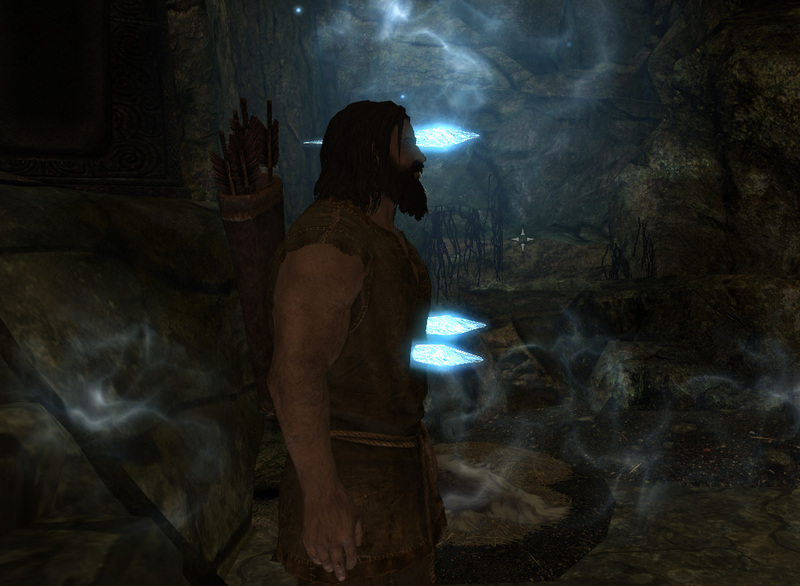 Skyrim Nexus, lucidstorm1. 3 Apr 2018. 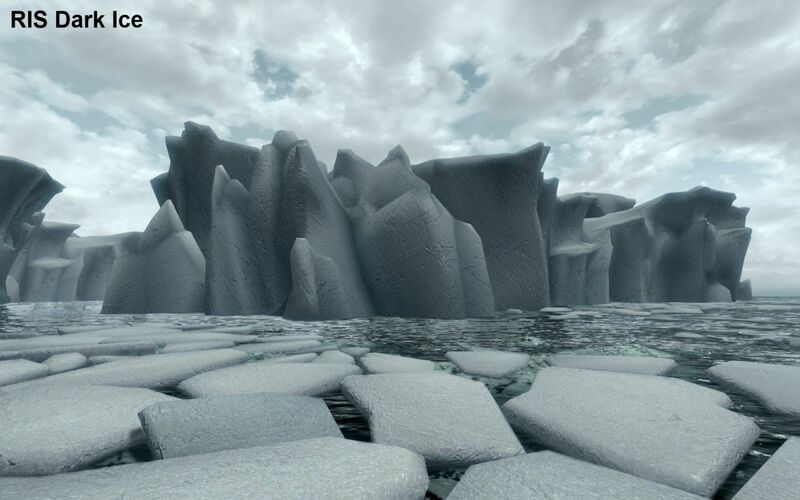 Glacierslab. 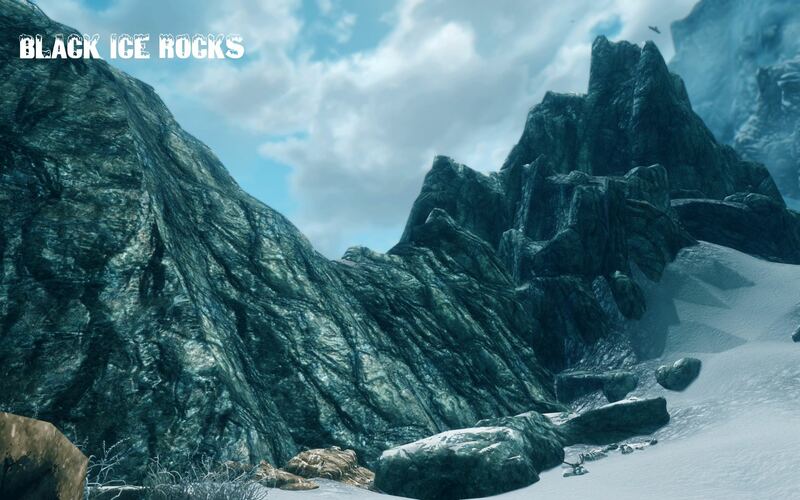 14 Feb 2017 <https://www.nexusmods.com/skyrim/mods/82157>. 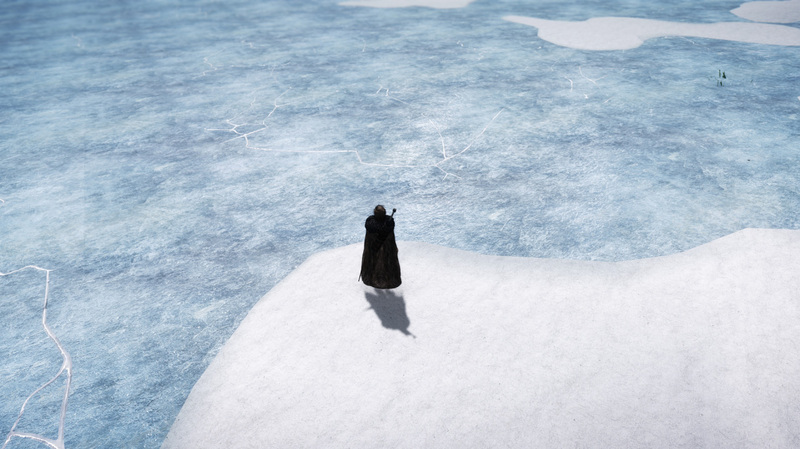 Skyrim Nexus, Flamecrafter. 11 Nov 2014. 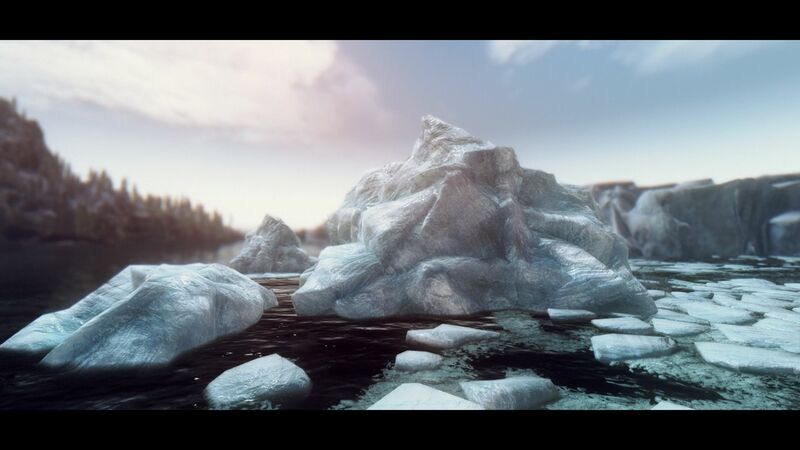 Deadly Ice. 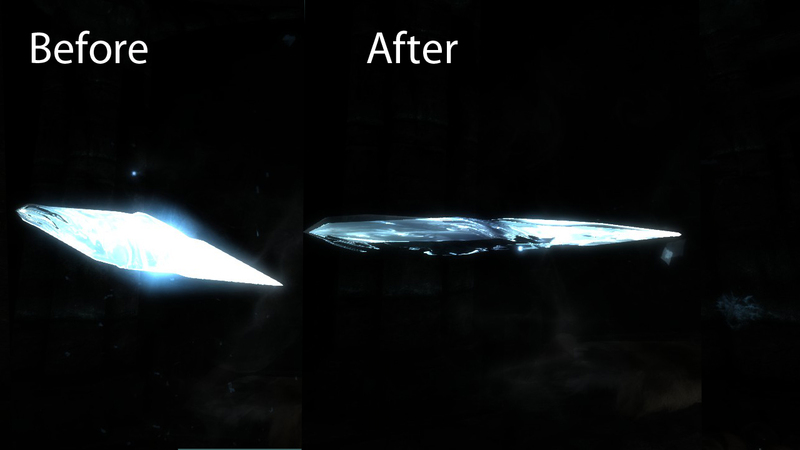 31 Oct 2014 <https://www.nexusmods.com/skyrim/mods/59539>. 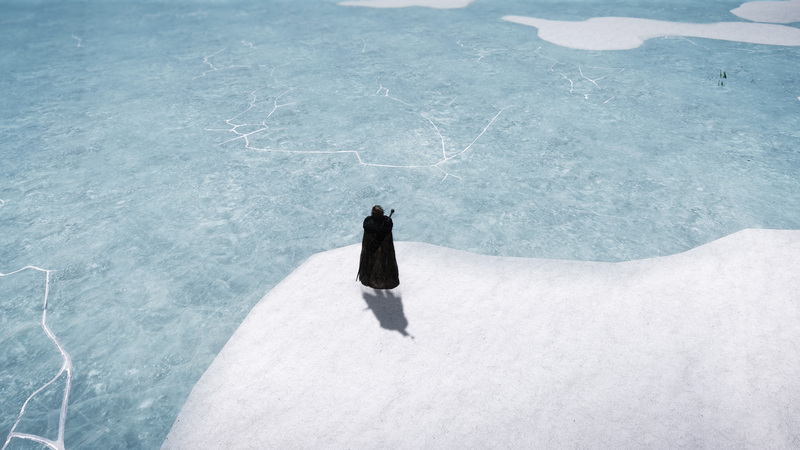 Skyrim Nexus, Odin_ml. 22 Feb 2013. Smaller Ice Spike and Ice Spear. 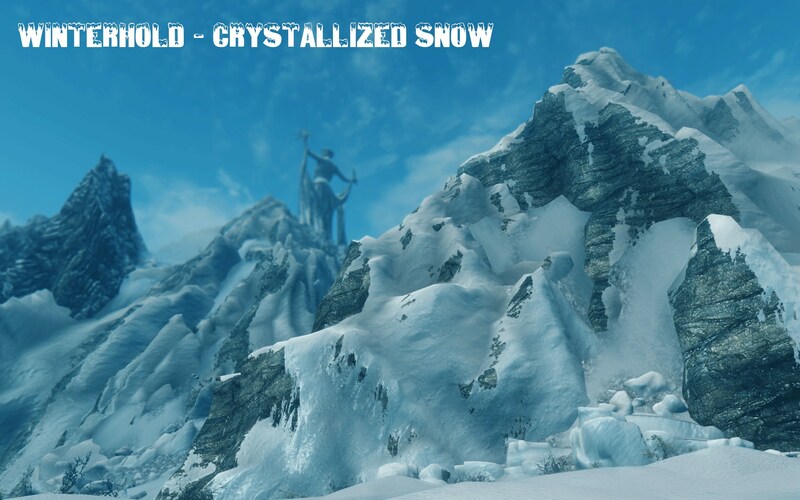 18 Feb 2013 <https://www.nexusmods.com/skyrim/mods/31899>. Skyrim Nexus, ProtologolusX. 6 Feb 2015. 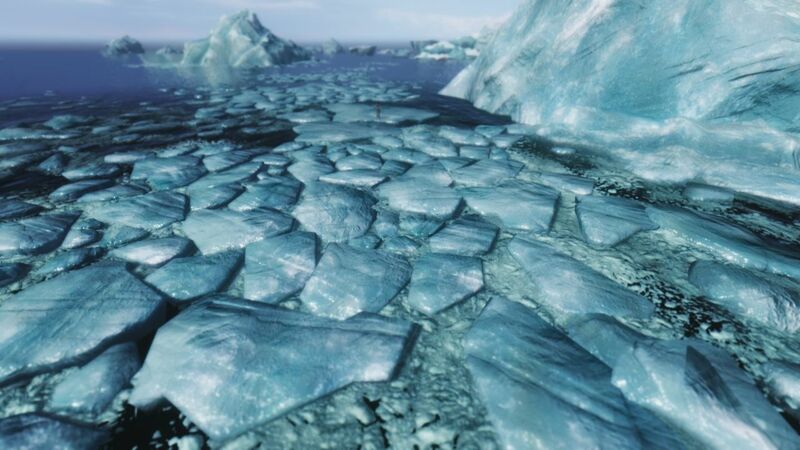 True Frost Atronachs. 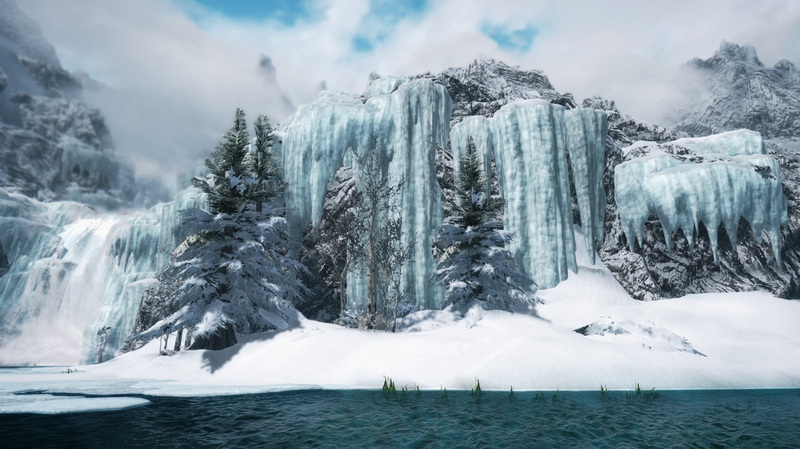 6 Feb 2015 <https://www.nexusmods.com/skyrim/mods/62355>. 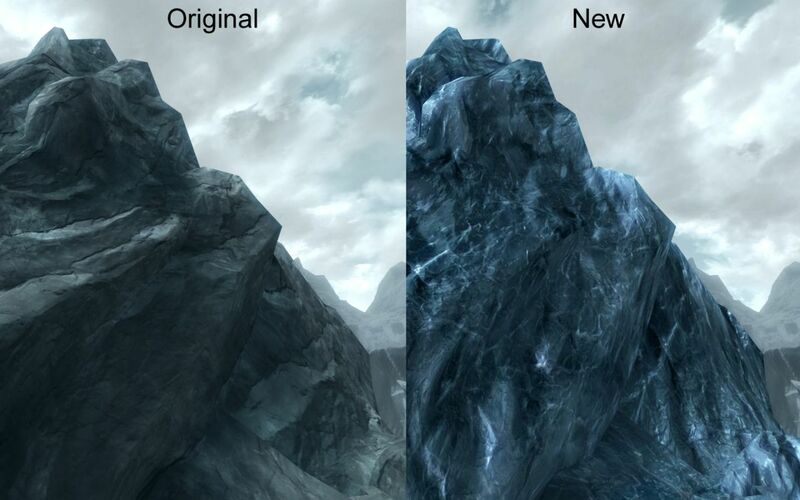 Skyrim Nexus, HappyChappy. 5 Sep 2015. Regional Snow and Ice. 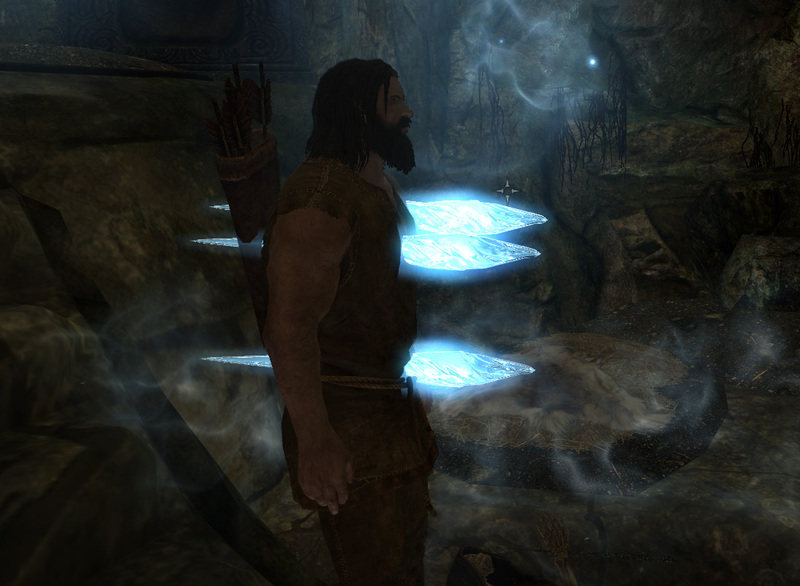 14 May 2015 <https://www.nexusmods.com/skyrim/mods/65882>. Skyrim Nexus, VampireChampion. 24 Aug 2014. 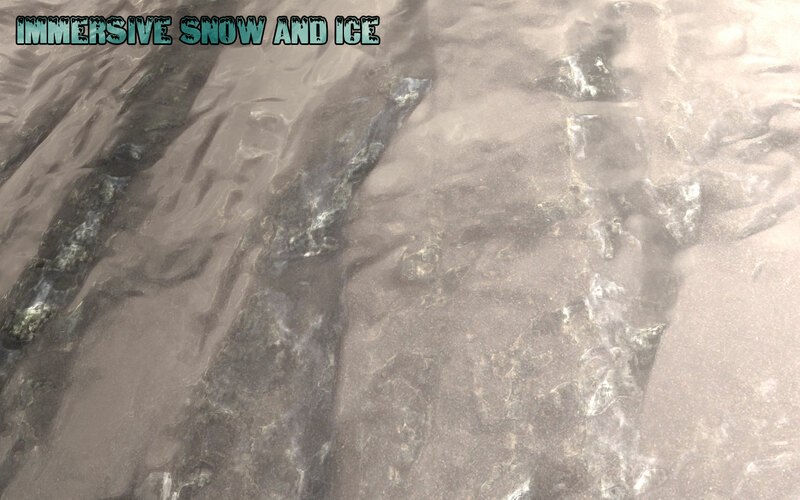 Forgotten Vale HD ice textures. 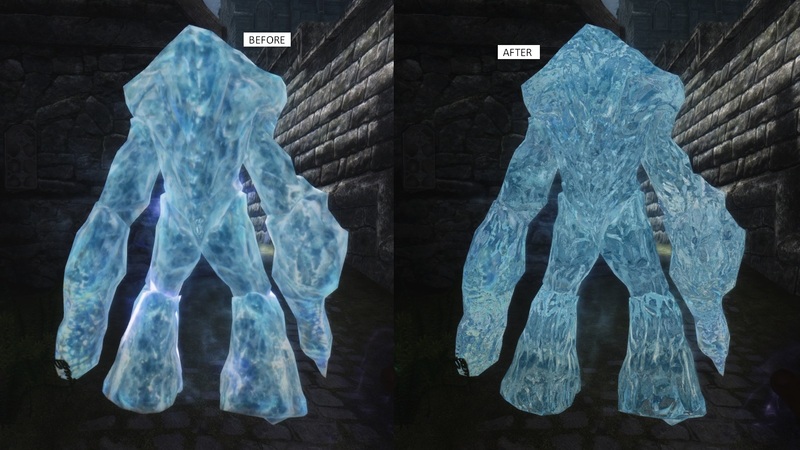 24 Aug 2014 <https://www.nexusmods.com/skyrim/mods/57447>. Skyrim Nexus, grVulture. 24 Feb 2015. RIS - Real Ice and Snow. 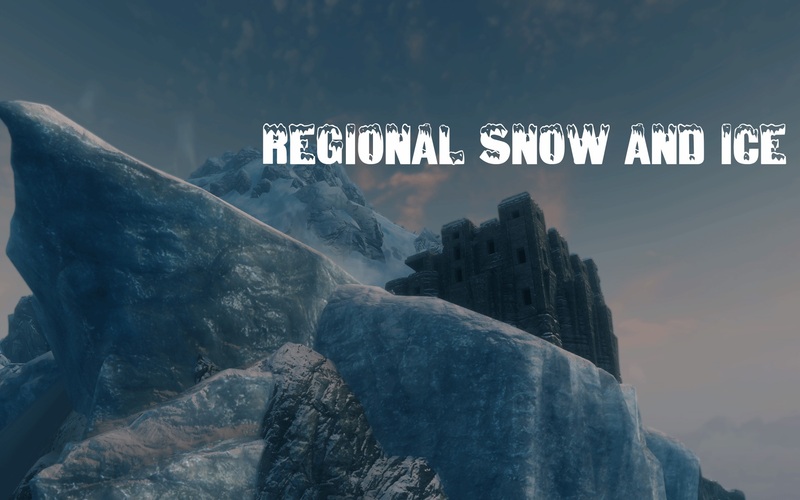 23 Mar 2012 <https://www.nexusmods.com/skyrim/mods/13466>. 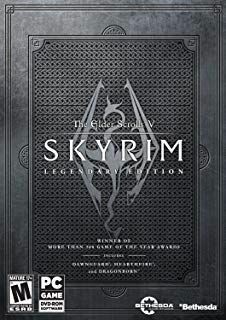 Skyrim Nexus, Yuril. 25 Jan 2012. Real Ice ALL-IN-ONE. 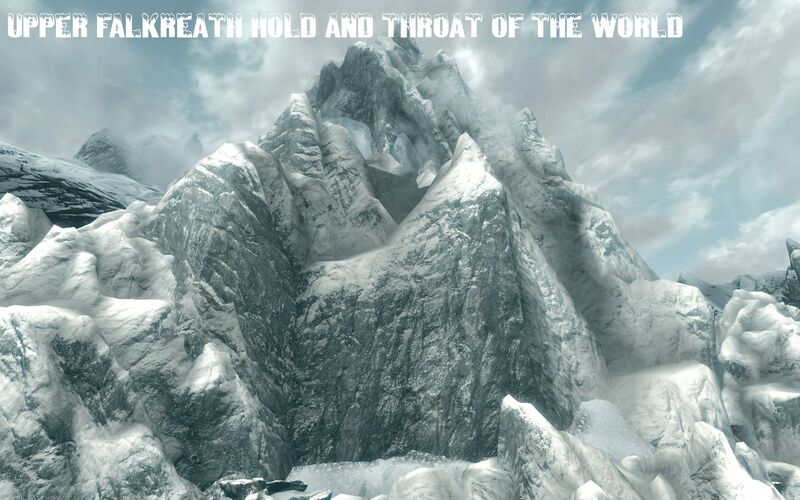 25 Dec 2011 <https://www.nexusmods.com/skyrim/mods/5388>. Skyrim Nexus, kakasi104. 11 Feb 2015. 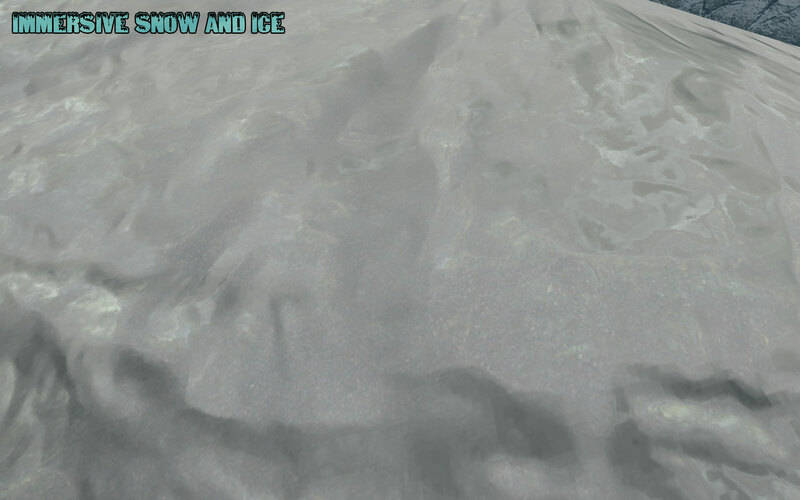 Kakasi's ICE texture. 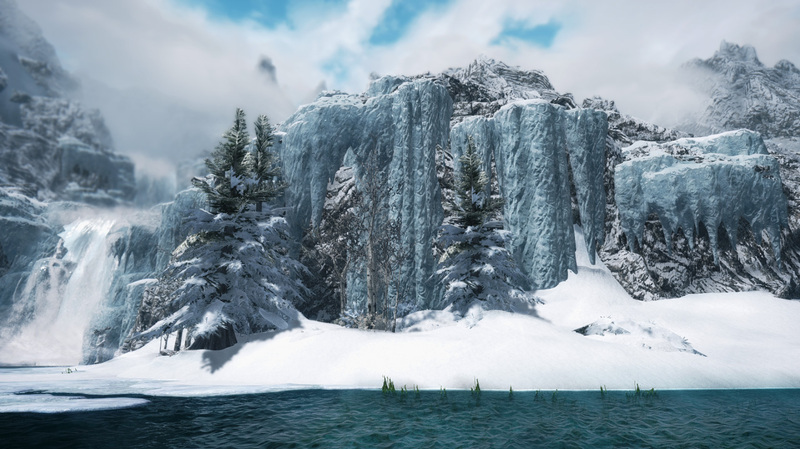 12 Feb 2015 <https://www.nexusmods.com/skyrim/mods/62546>. 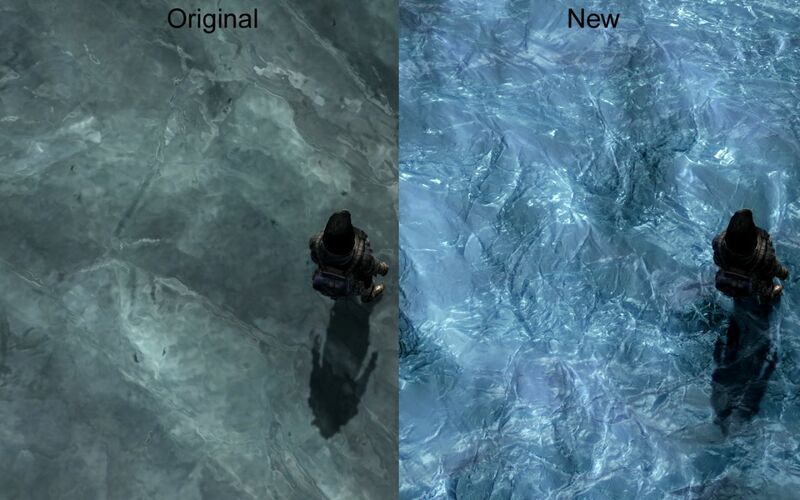 Skyrim Nexus, happychappy. 27 Apr 2015. 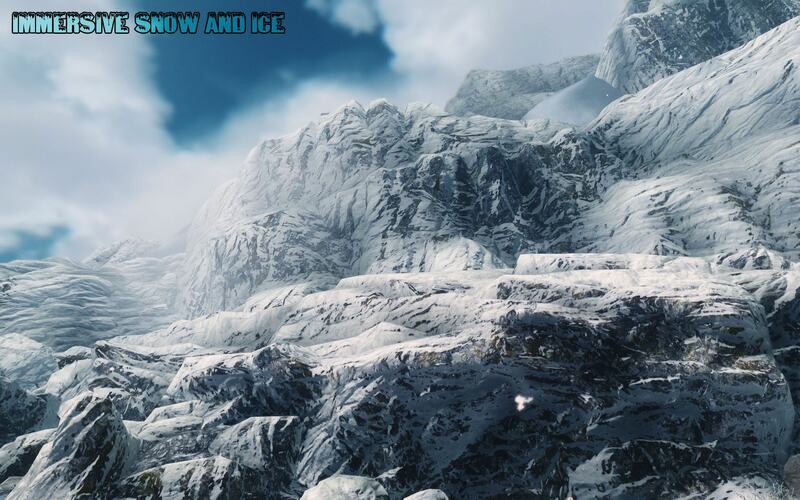 Immersive Snow and Ice - Mountain and Rock Edition. 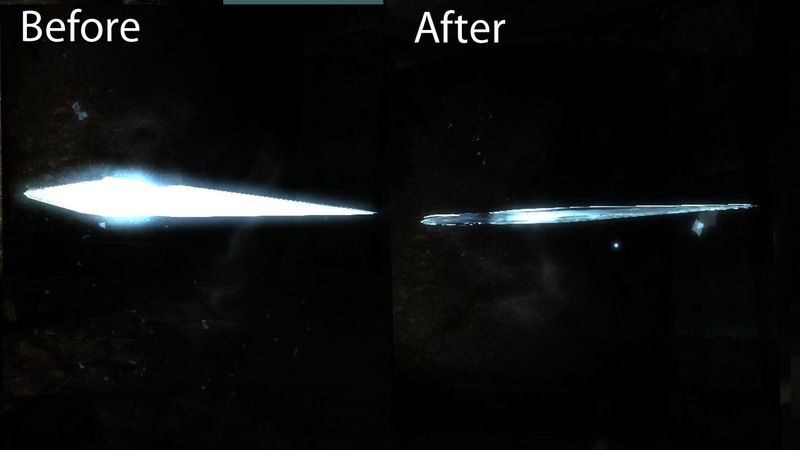 25 Oct 2013 <https://www.nexusmods.com/skyrim/mods/45435>. 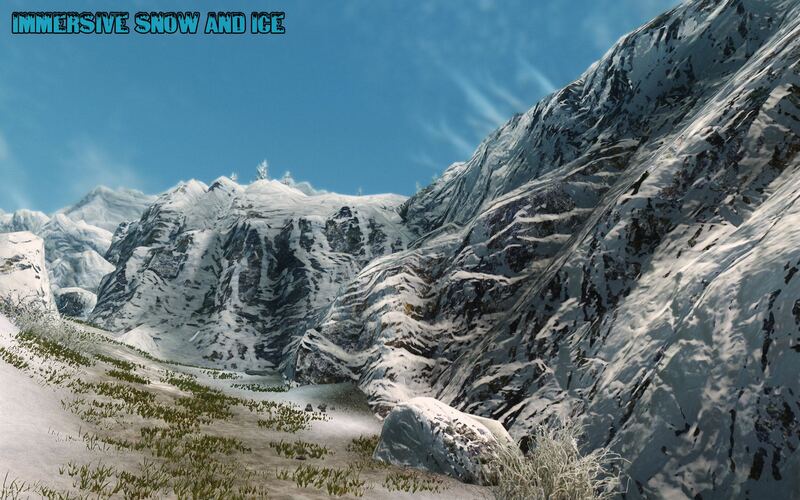 Skyrim Nexus, ewi65. 8 Jun 2014. 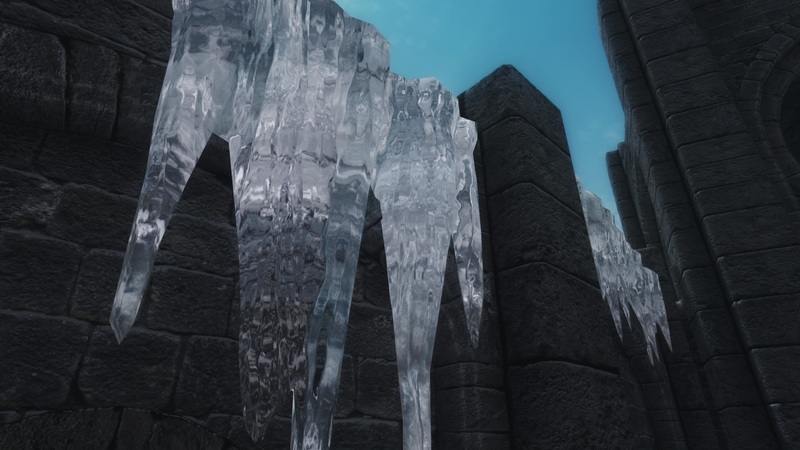 New Ice for Winterhold. 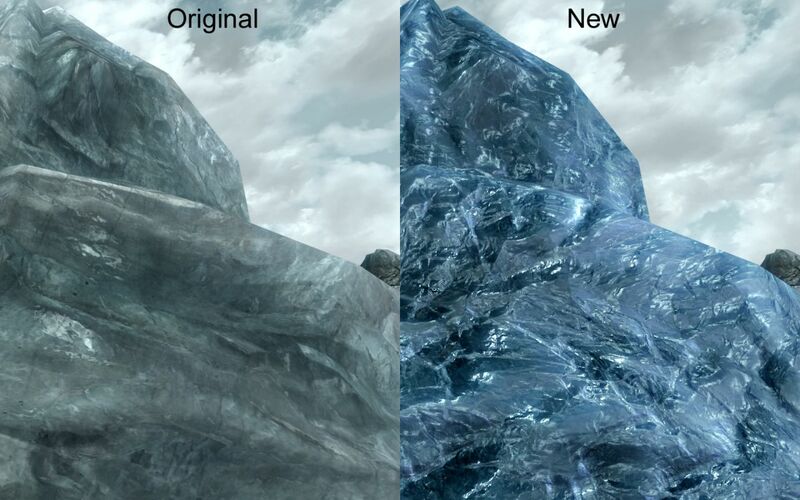 7 Jun 2014 <https://www.nexusmods.com/skyrim/mods/54676>. 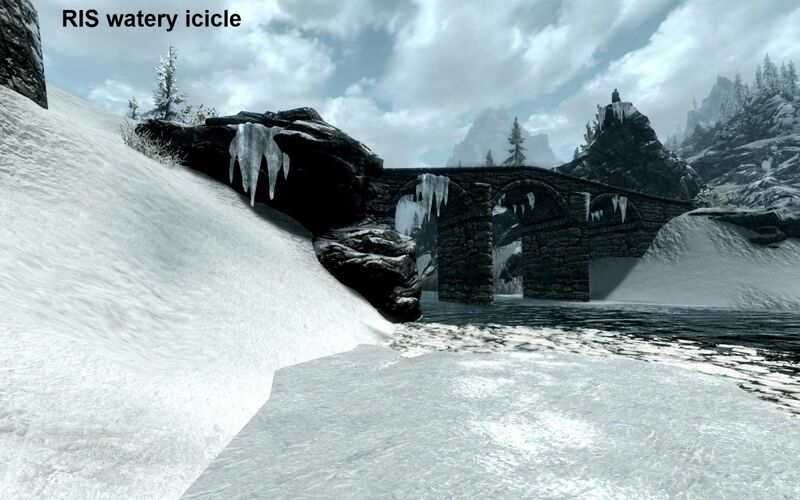 Skyrim Nexus, Osmodius. 29 Mar 2012. 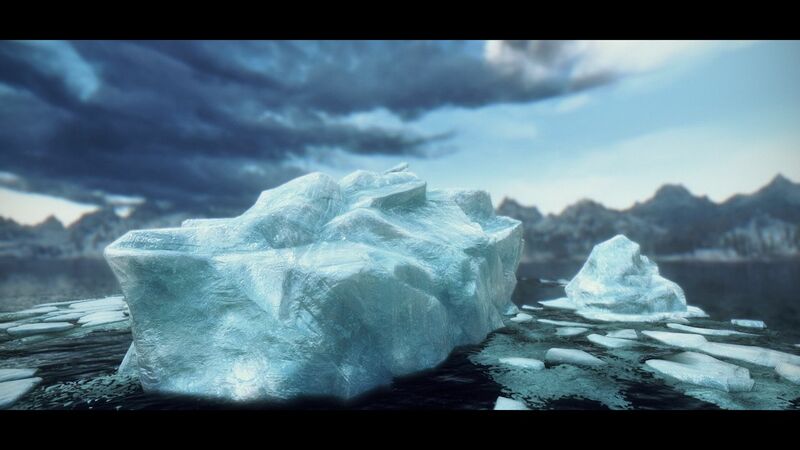 Real Glaciers V2. 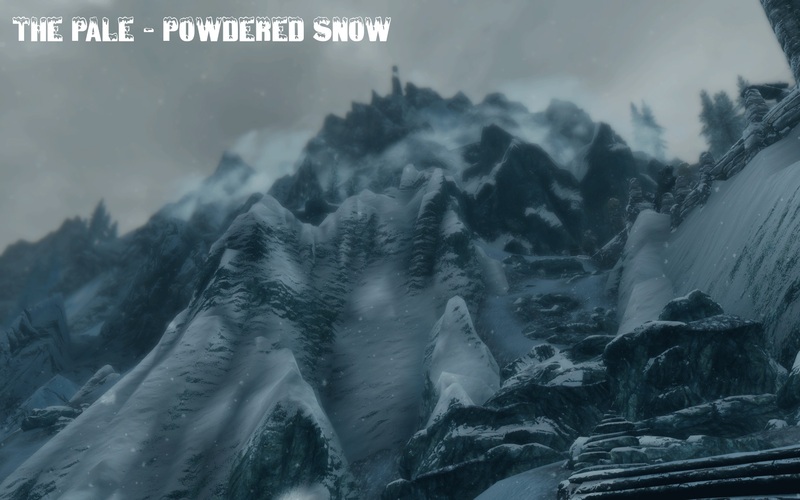 29 Mar 2012 <https://www.nexusmods.com/skyrim/mods/13922>.